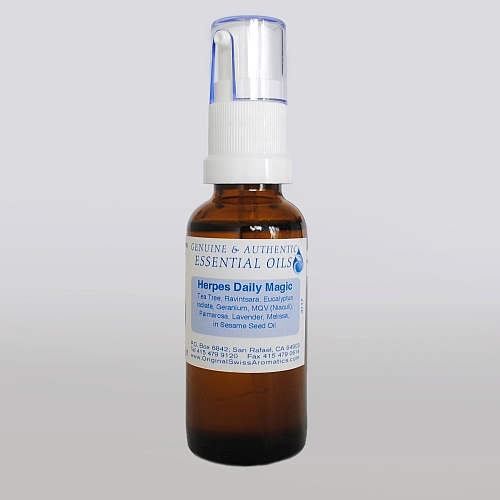 The perfect combination is Herpes Magic for acute conditions and Herpes Daily Magic for in between outbreaks to control and prevent blisters. 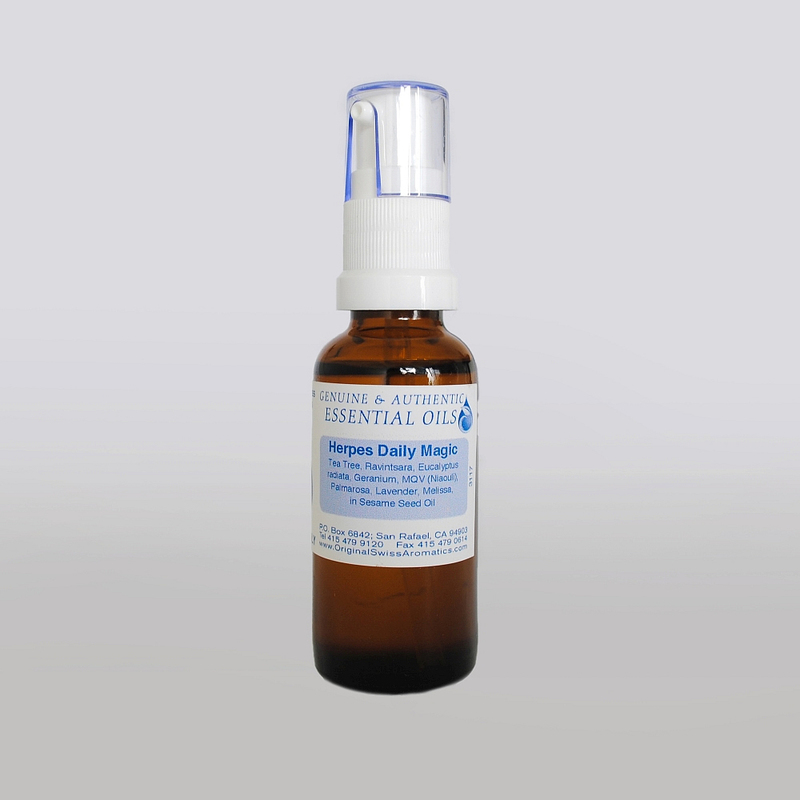 By using the combination regularly for 2 - 3 months, the immune system gets strengthened, and the Herpes Virus gets re-trained, and will in most cases remain dormant. 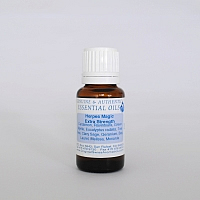 Apply topically 2 times daily on the affected areas, and to the base of the spine, where the virus rests during its dormant state. Ingredients: Tea Tree, Ravintsara, Eucalyptus radiata, Geranium, MQV (Niaouli), Palmarosa, Lavender, and Melissa in organic cold pressed extra virgin Sesame Seed Oil.